A closer look revealed paper-thin layers of gold-plated steel perforated to proclaim the symbolism of modern religion. Banal logos like those of Coca Cola and Gucci tell the story that jewellery – a metaphor for the Milan furniture fair itself – has always told: the world of capital loves to wrap itself in the illusion of timeless beauty.” Louise Schouwenberg. “The absolute climax of the jewellery display was a design by Frank Tjepkema. 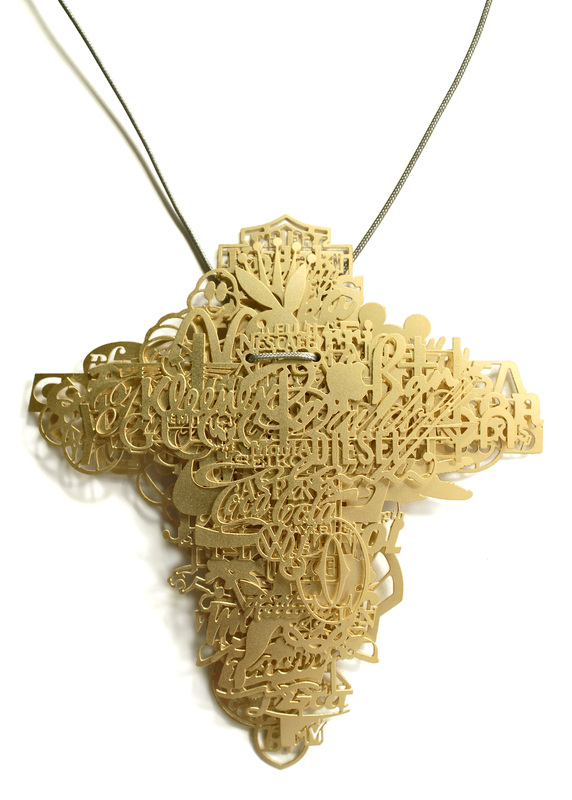 From a distance, his piece resembled an opulently decorated cross.